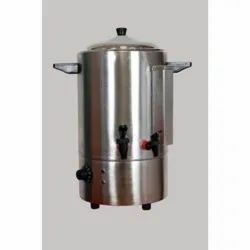 Providing you the best range of linen cart, stock pot, roomali roti trolley, tea coffee milk dispenser, milk boiler and plate/glass disposal counter with effective & timely delivery. 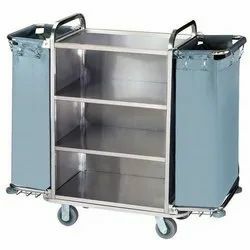 Linen Cart is ideal for transporting linen Cart made of full size canvas bag to accommodate linen in bulk, outer frame made of 1" dia MS or SS pipes with wheels. We provide a broad range of Stock Pot, which carries a lustrous look and is appreciated for its optimum quality, durability & anti crack features. Available in different shapes and sizes, it is easy to clean and maintain. To lift this pot in an easy and convenient manner, it is also provided with easy grip handles. 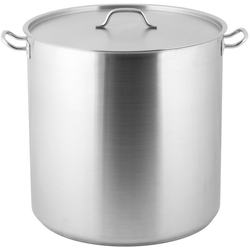 Moreover, we also provide our range of Stock Pot in customized forms. It is manufactured using high grade raw material to ensure fine finish and durability. Frame : MS ‘L’ Angle Top : 304 Grade 16SWG SS sheet. 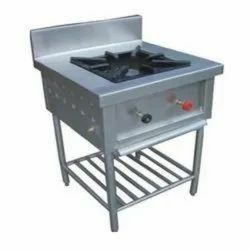 Paneling : 304 Grade 18SWG SS sheet.Drip trays : 304 Grade 18SWG SS sheet Pan Support : 01 No, Romali grid Attachment : Burner 01 No,1no NC valve, Legs : 1½” OD 16SWG SS pipe legs With adjustable nylon boots. Tea Coffee Milk Dispenser offered comes designed and developed using latest technology support and provides for reliable working performance. Further, its quality steel plate finish also makes these provide for non-staining and durable long lasting usage. 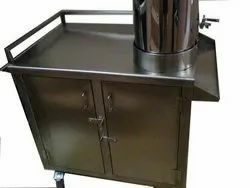 Some of its features include high quality compressor support; low working vibration; magnetic driving water pumping system; lever-type handle; compact designed finish; allows for continued pour application; allows dispersing finished drink at ambient temperatures. 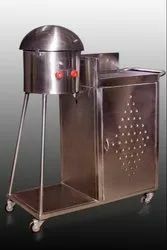 Milk Boiler offered comes designed and developed using latest technology support so as to provide for high heating efficiency with re-heating system. Further, its muti-layer heating insulation as well as keep warm function makes these milk boilers provide for efficient performance. Some of its features include stainless steel 201/304 housing support; plastic/copper material based water faucet; heat-resistant handles; anti-dry protection; automatic shut-off provision among others. 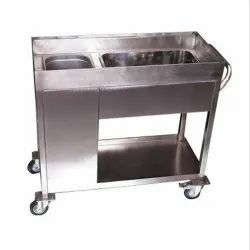 Plate/Glass Disposal Counter offered can be made available by us in different finish configurations and provide for reliable and consistent working performance. 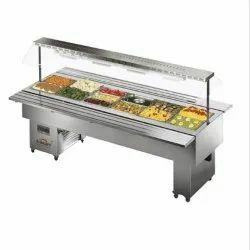 The counters come in metal, acrylic, glass finish with panel support in different thicknesses. Some of its features include well developed machining facilities for reliable work performance; option of glossy/matt finish; assure of superb appearance; can also be developed as per OEM specifications provided by the customers. Every thing you need to serve your customers quickly and efficiently. Custome built units specially designed to suit your sizeable needs. 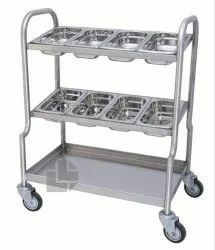 Cutlery Trolley is uniquely designed to collect and dispense cutlery directly from wash to usage point. Deep drawn stainless steel containers placed at convenient slant. 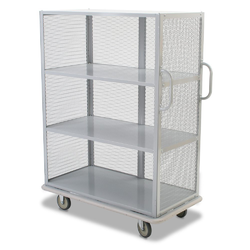 Trolley provided with bottom shelf for service trays.